Every day it gets harder to get out of bed. What is a detective who doesn't detect? LEFT UNDETECTED is a tiny story about not wanting to do the thing you've done all your life and spending the whole day in bed because of it. Arrow keys or swipe to move the phone handset and advance the dialog text. The phone is ringing. The detective is lying on the couch. 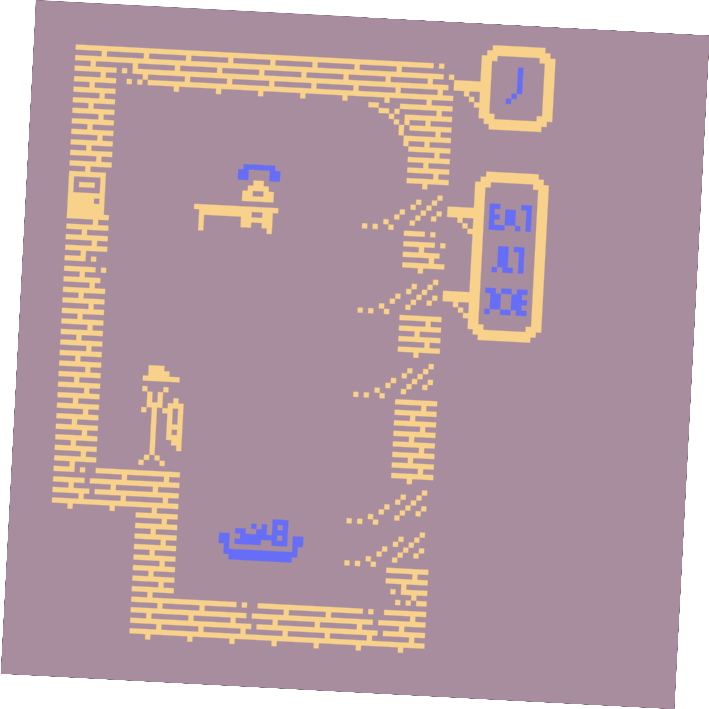 Made with Bitsy, the tiny, adorable game construction kit. I made some modifications to support scripting exits to new rooms inside dialogue, fetching game data from a URL, and setting the page title from the game data. 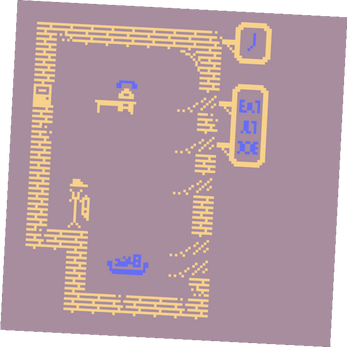 The Bitsy editor only permits 2-frame animations, but the engine supports multi-frame animations if you hand-edit the game data. I'm using a few 3-frame animations that were pretty easy to add. Made for Global Game Jam 2018 and Midnight Jam. All you detectives, drop me a line on Twitter. I'd love to hear whether you think the Detective will have lunch with Casey. this is so good! i love everything about this!!!!! I really liked moving the phone. It caught me off guard at first, but in a good way! I also like the slight slant in the design. It gives off this feeling of something is not quite right. It matches that edgy "I'm a detective" vibe but also shows that the detective is the one that's off. I don't know...I don't think the detective met up with Casey. I hope I'm wrong though. Cool stuff! I had no idea you could do 3-frame animation. I really like the vibe as well. this is really nice! the titled screen, moving the phone, the dialogue and animation hacks, it's a very clever and tight game. i liked it a lot. i hope casey and the detective meet up. Aw, thanks! And thank you for telling me what you think about Casey and the detective.